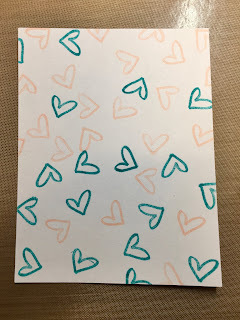 Today I am going to enter another Color My Heart Color Dare! If you would like to see the rules, other entries, or enter a piece of your own then click on the link below. 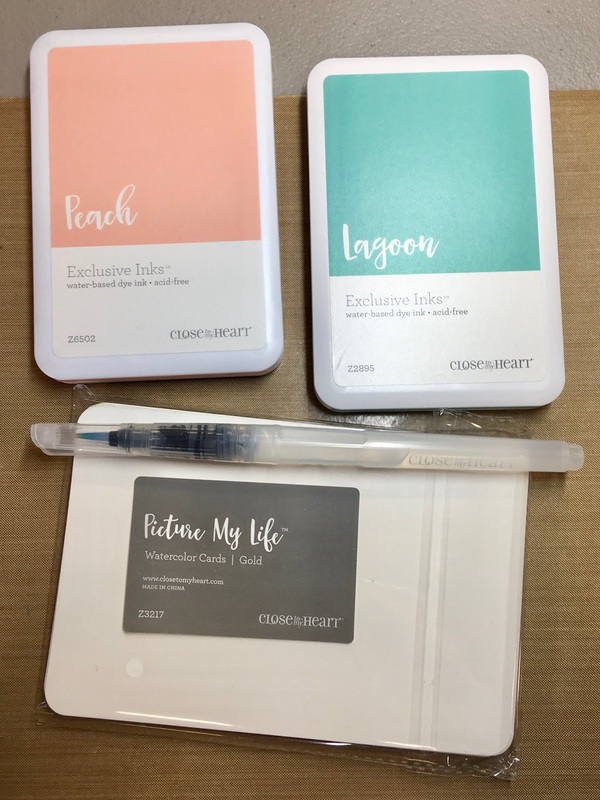 For my three colors I chose Lagoon, Peach, and Gold. I am using white as my neutral color. To start with I gathered some supplies. I pulled out my Peach Ink, Lagoon Ink, a water brush, and some Picture My Life Watercolor Cards - Gold. 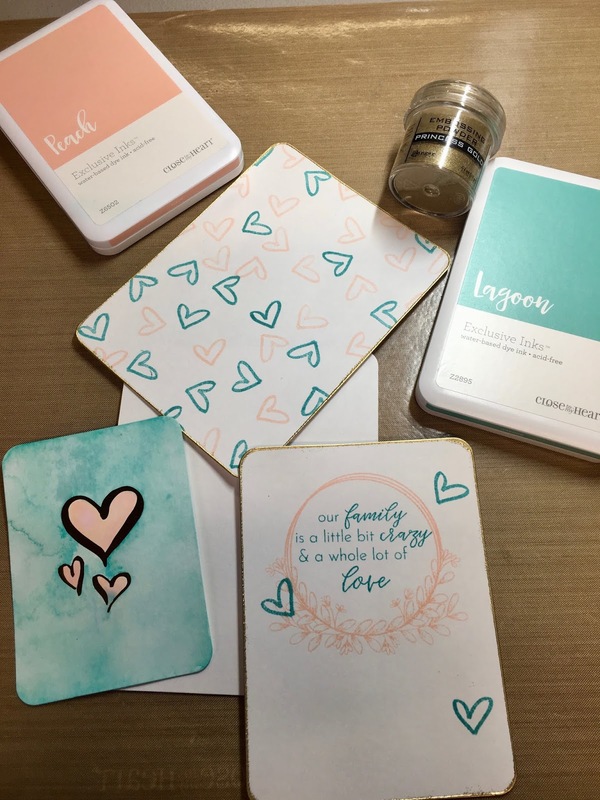 I should note that as I type this the watercolor cards are in the clearance section of my online store for only $4.00 (regularly $8.95) so they will only be available while supplies last. 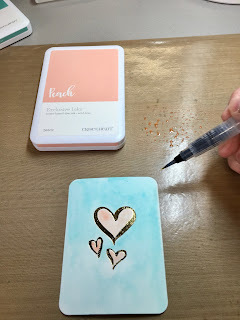 I started by brushing some clear water over the chosen watercolor card. 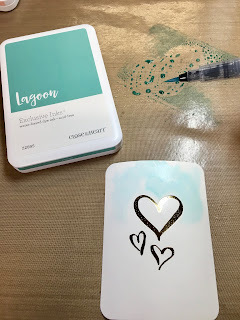 Next I blotted some of the Lagoon ink onto my All-Purpose Mat straight from the ink pad. Using my water brush I picked up some of the color and let it organically flow onto my watercolor card. 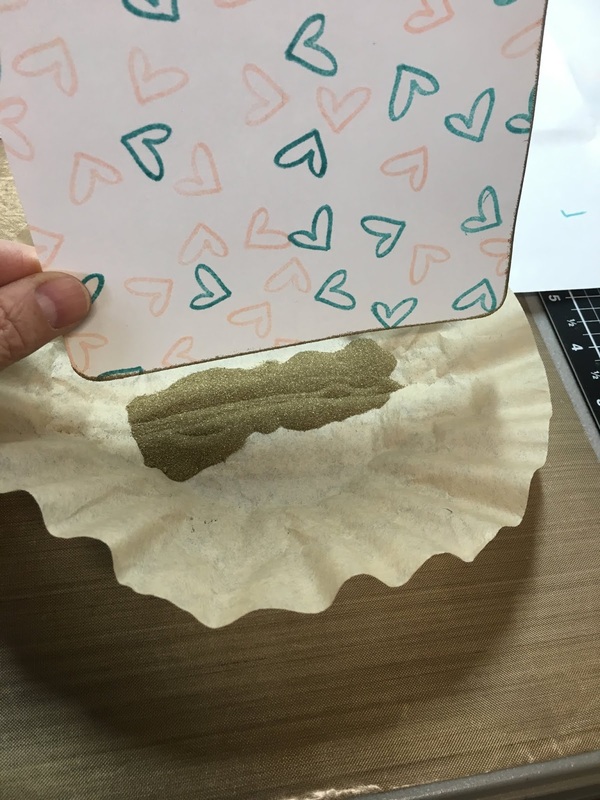 I then wiped my mat with a baby wipe and repeated the process using the Peach ink for the hearts. The peach ink is such a pretty color! 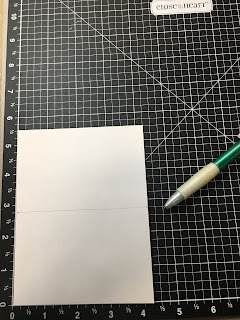 While that piece dried I took a piece of White Daisy Cardstock I cut to 4.25" x 11" and folded it in half for my card base. Then I took another piece of the same cardstock and cut it to 4.25" x 5.5". 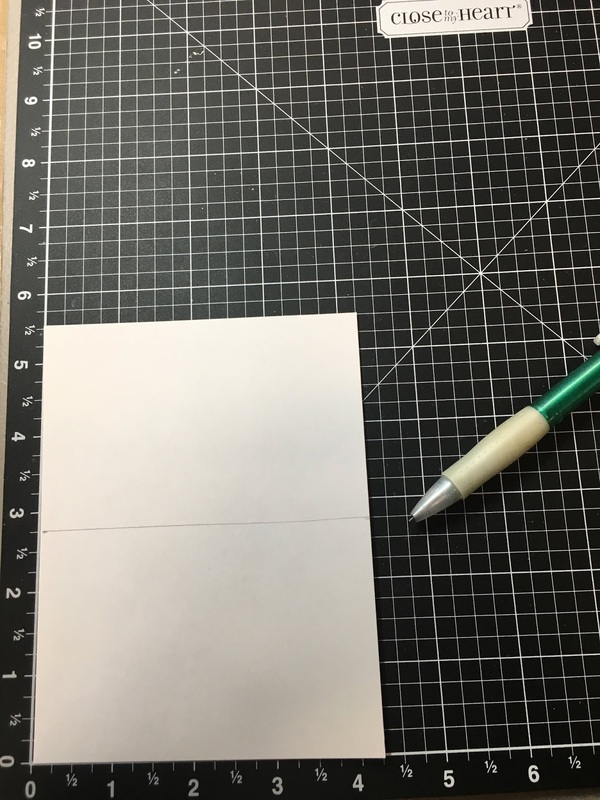 This piece I drew a light pencil line through the middle. 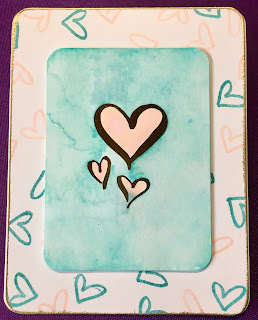 I wanted to stamp my hearts so they would look as if they were mixing from the edges... more Lagoon on the bottom and more Peach on top. The pencil line helped me to keep track of the middle. I simply started stamping using the heart from the CTMH Word Search Highlights stamp set. 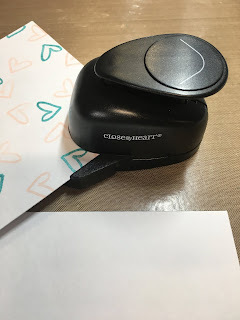 Once the stamping was completed I carefully erased the pencil line. 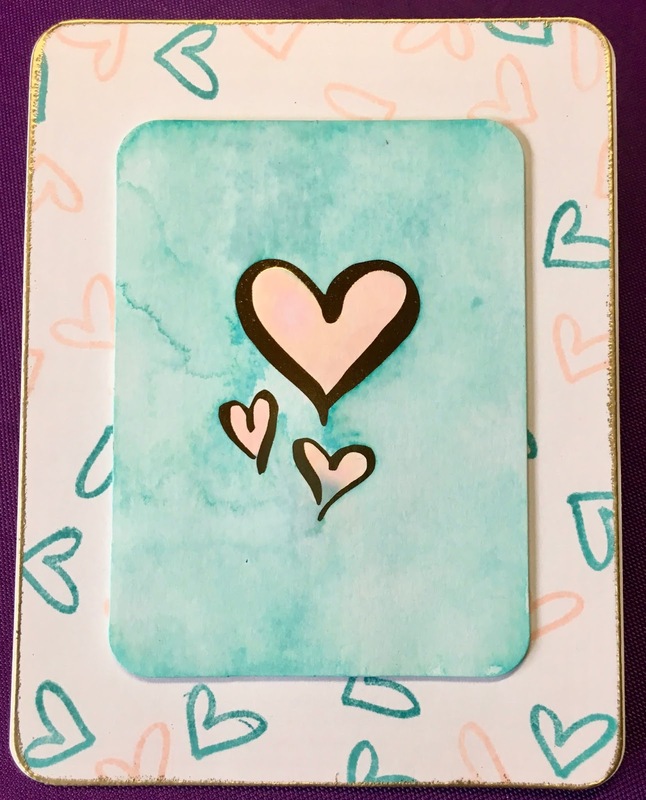 Once I had my stamping done I rounded the corners of both the folded card base and the stamped background piece using my Corner Rounder. 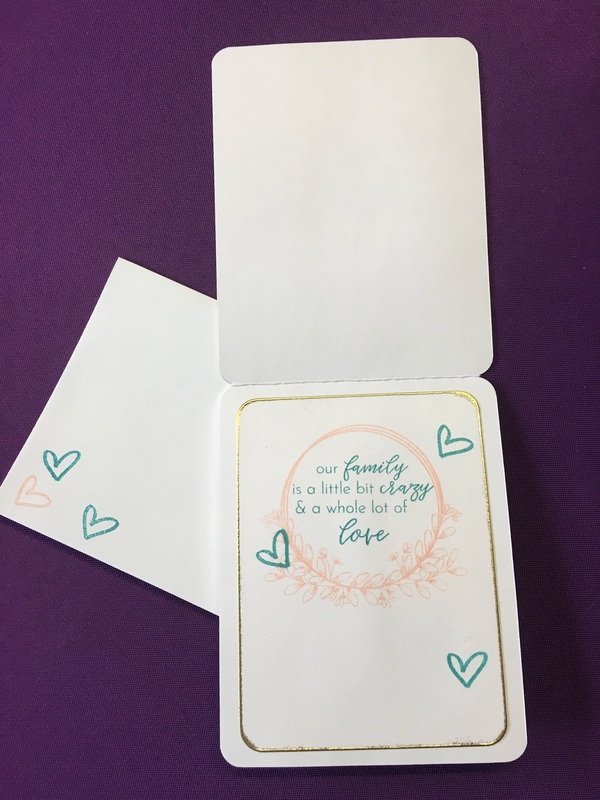 Then I added the gold all around the edge by using some VersaMark ink, and Princess Gold Embossing Powder. 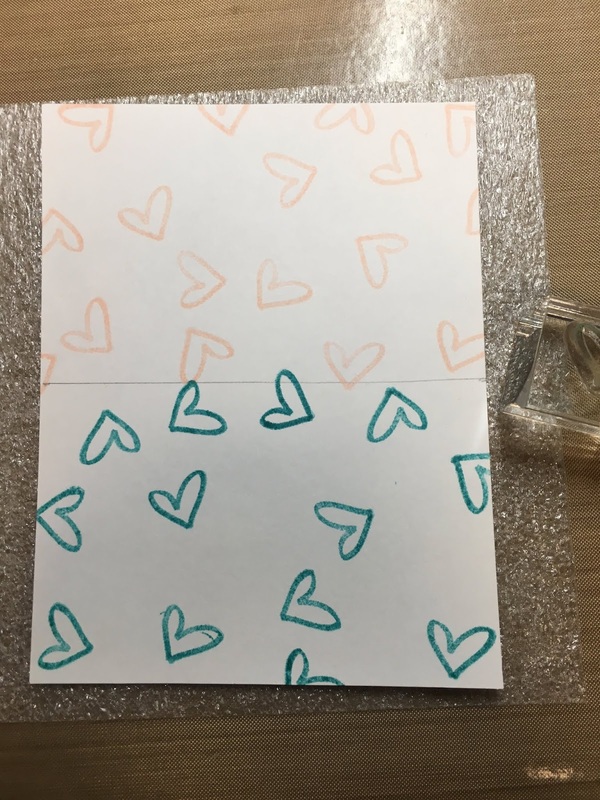 Hint: Be sure to heat both the front edge and the back edge of the cardstock to make sure the gold adheres well, remember it wraps around the edge so you want it completely melted onto the edge of the cardstock. For the inside of the card I used many of the same techniques. This time using components from the CTMH Feels Like Home - Scrapbooking stamp set. 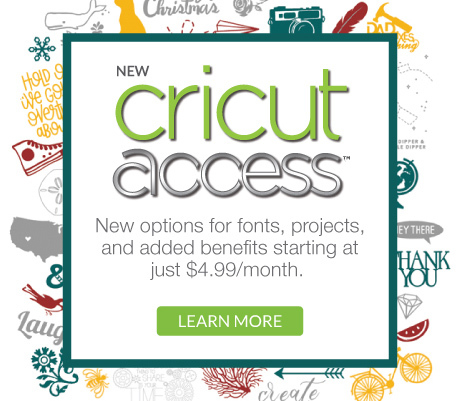 This is a great set for use in scrapbooking, but I also like it for cards, too! Once I had all my pieces together it was simply a matter of assembly. I used Tombow Permanent Adhesive to attach the background piece to the front of the card and the sentiment piece to the inside of the card. 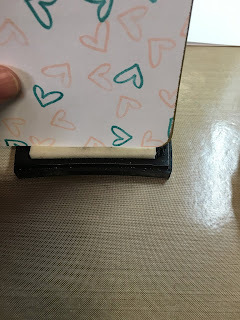 For the highlight watercolor piece I used some 3-D Foam Tape for added dimension. 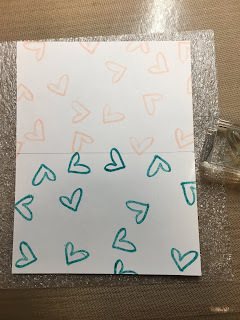 Hint: Don't forget to add a bit of color to the envelope for the sake of coordination. 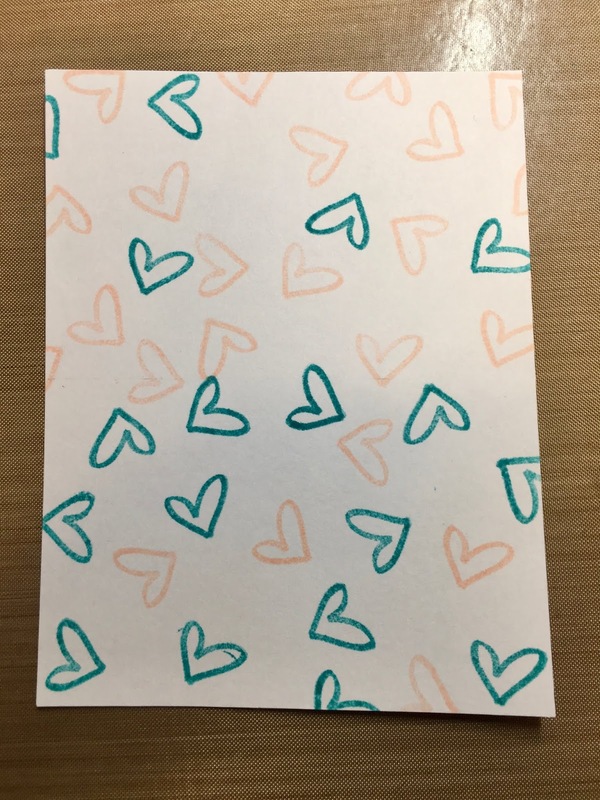 That is all there is to if for today's card and entry into this Color Dare! Thank you for reading my blog and, as usual, I love to read your comments, answer your questions, and learn new ideas in the comment section below. What a cute card! Great photo tutorial too! 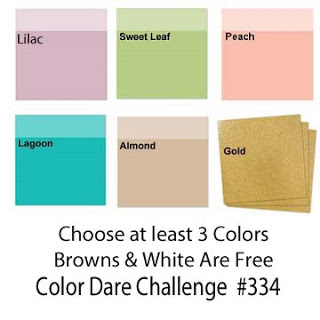 Thanks for sharing at Color Dare. 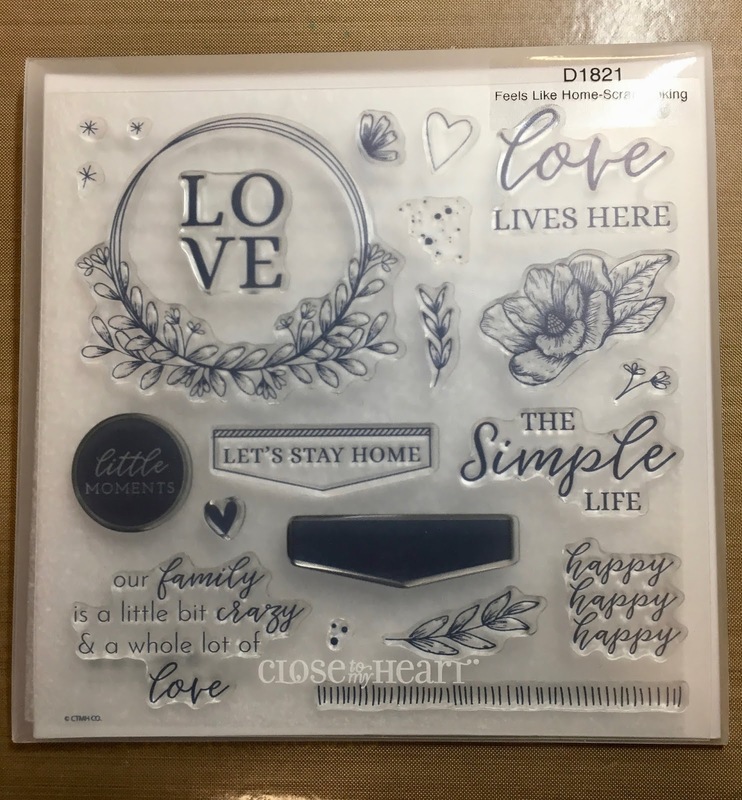 Love the watercolour PML and how you made the heart from the PML suit so well with the heart from that stamp set. 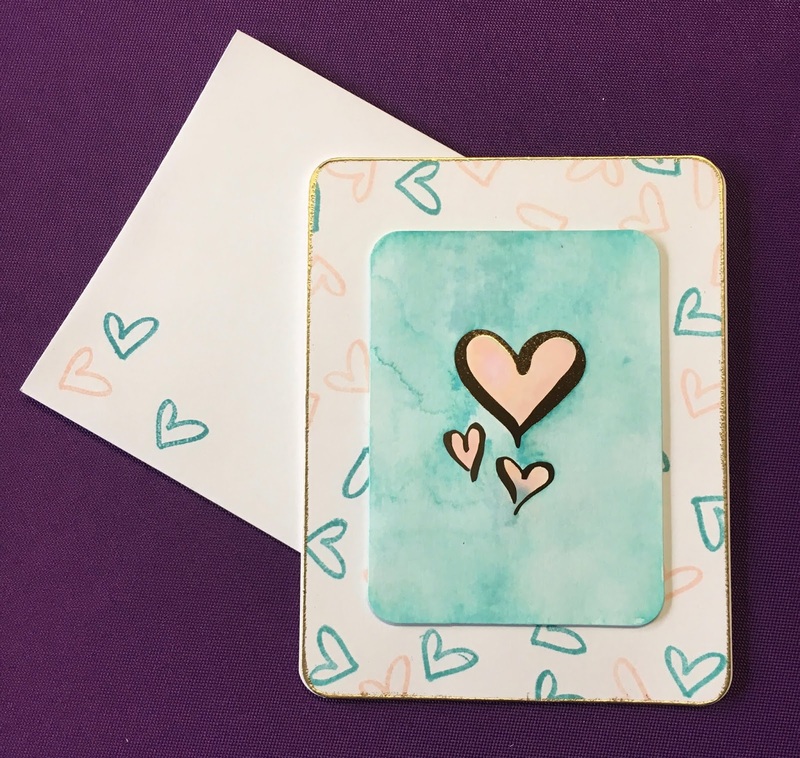 Thanks for joining us at Colour My Heart Colour Dare Challenge. Hope you can join us again soon. 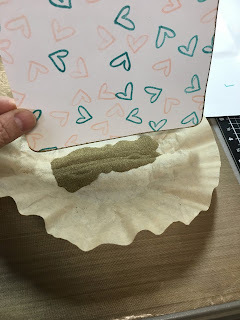 Had a problem seeing the gold PML card, and wasn't familiar with them until I traveled through your tutorial wherein the gold was much more evident. 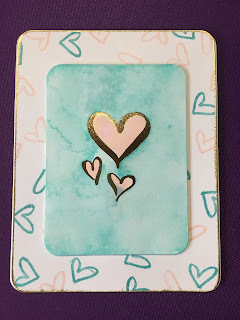 Thanks for the tutorial showing all the processes you went through for your beautiful card and thanks for sharing with us at ColorMyHeart Color Dare. This may be a duplicate because when I published the first one I neglected to fill in the contact form. Since I wasn't familiar with the PML gold cards I had difficulty seeing the gold until traveling through your tutorial there was a better photo of the gold. Glad you had your tutorial to show all the processes you went through with a beautiful card. 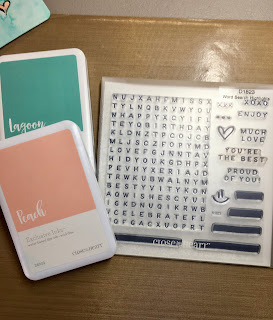 Thanks for sharing with us at ColorMyHeart Color Dare.